Fine woods and choice materials in shades of brown and white dominate the interior. 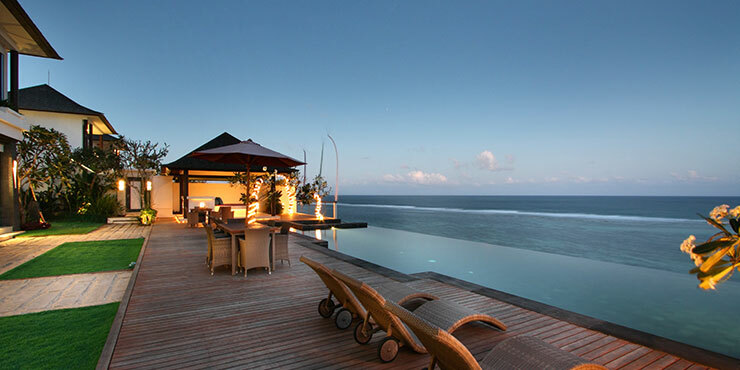 The luxury villa resort is located directly on the beach just west of Nusa Dua on Bali. The low-rise buildings blend in seamlessly with the natural surroundings and are furnished with the finest furniture, decorations and artefacts from the region. The GROHE Eurostyle faucets creates stylish elegance in the bathroom. The highest level of user comfort precisely regulates the flow of water and guarantees the perfect water experience.